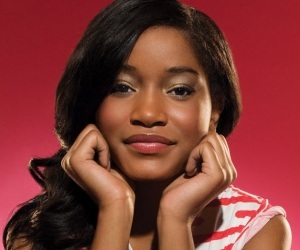 Keke Palmer may be young, but she certainly has nothing to prove. Since before the age of 13, she’s been entertaining audiences in film, television and even music. As a former child star on Nickelodeon’s True Jackson, VP, Palmer became one of the highest-paid young actresses on TV and proved naysayers wrong when she nailed her role as Chilli in VH1’s TLC biopic, CrazySexyCool (one which she also landed a NAACP nomination). But even with her undeniable success and mega fame, the 20-year-old is taking her multifaceted career to new terrain as the host of her own talk show on BET called Just Keke, making her the youngest talk show host in television history. In an exclusive interview with BlackEnterprise.com, Palmer speaks on why a show of this caliber is so necessary for today’s millennial generation and whether being young—she’ll be 21 in August—affects how she’s perceived in the boardroom. She also opened up about her frustration on sometimes being misunderstood on social media. Find out how the show came to be, what television host has inspired her and what impact she hopes Just Keke will make when it premieres Monday, June 30 at 5 p.m. EST. BlackEnterprise.com: How did the idea of a talk show come about? Did BET approach you or did you already have the idea in mind and shopped it around to networks? Keke Palmer: Yea I shopped the idea to Telepictures and then I shopped it to networks. It had been a year of actual ‘I gotta do something,’ and then a couple of years of just thinking about it [before BET picked it up]. How did the idea for the name Just Keke come about and did you play a role in that decision? I didn’t play a role in picking the name. The producers were thinking, ‘What about Keke Palmer?’ or ‘What about just Keke?’ and somebody was like, ‘I love that. Just Keke.’ In reality, they meant literally ‘just Keke,’ but everyone ended up lovingÂ Just Keke. What can viewers expect from the show? Will it be modeled after previous talk shows? I think all talk shows have the foundation of the original format but this one is definitely for this generation … the millennials. It’s going to involve a lot of social media. I don’t want to give too much away, but only people of this generation will appreciate it at that level. What talk show host do you look up to the most and why? Are there any skills or nuggets that you picked up on that you feel will influence your hosting? As far as my hosting skills there’s nothing that I can say I picked up on that I know of. I think that I pick up a lot of things from different people all the time. One of the things about me that I’m proud of is that I’m very observant. I think I learn the best when I’m just watching people, but I don’t know exactly what is that I pick up. As far as hosts that have inspired me, Oprah Winfrey has inspired not only as a host, but in life.